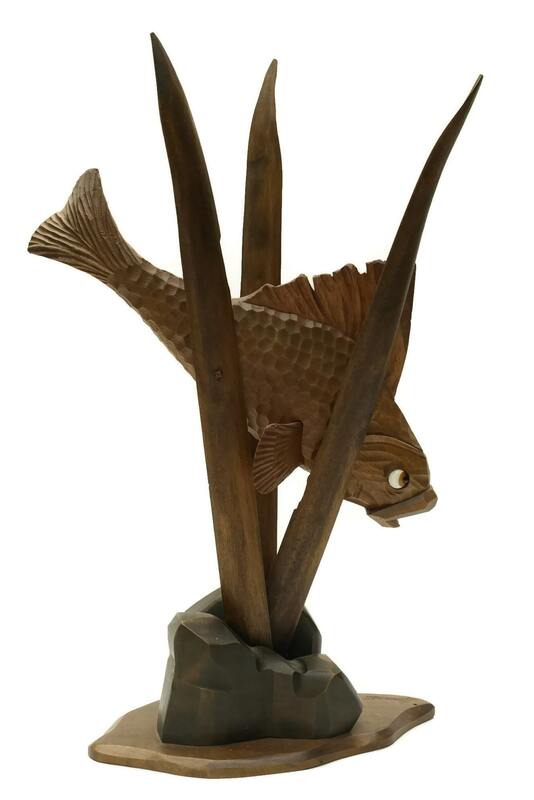 Art Deco Fish Sculpture. 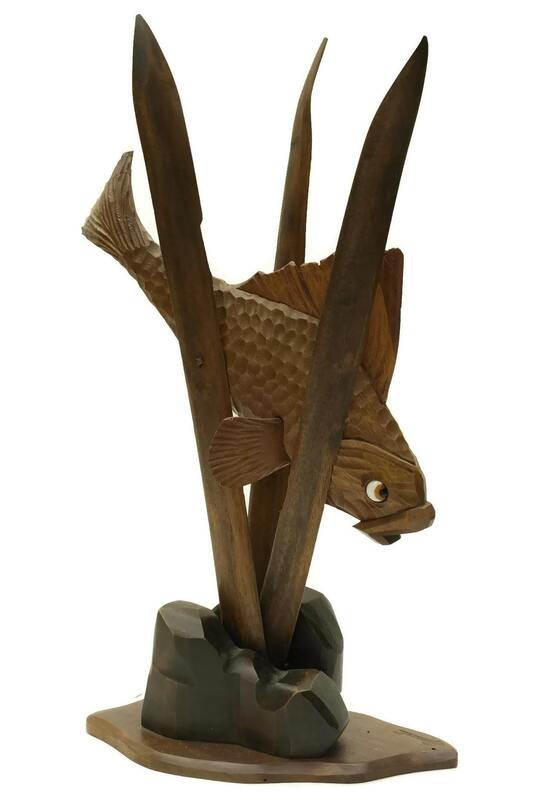 Carved Wood Fish Figurine. 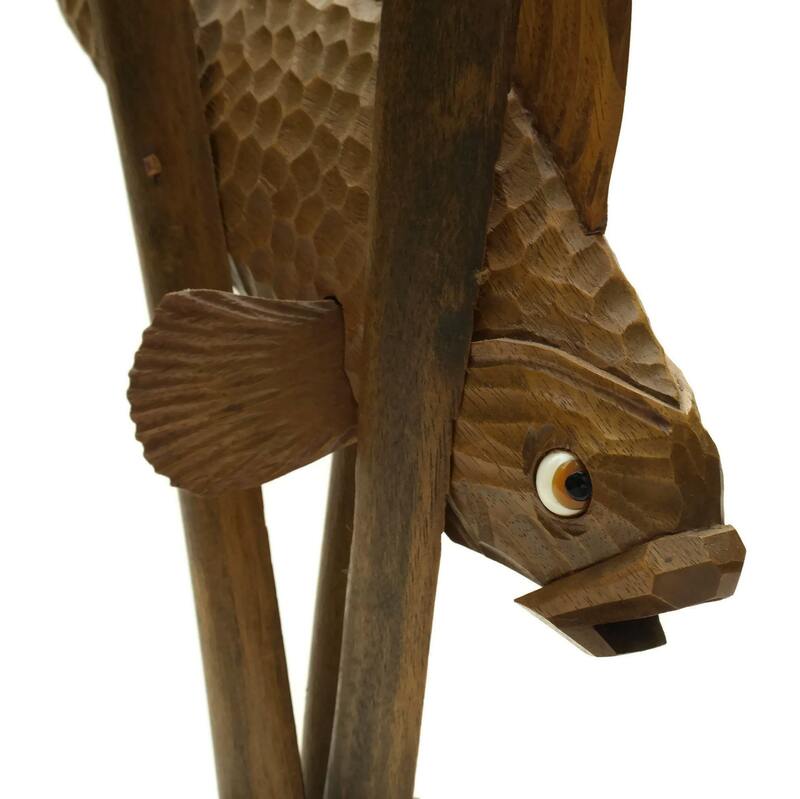 Coastal Home Decor and Nautical Gifts. 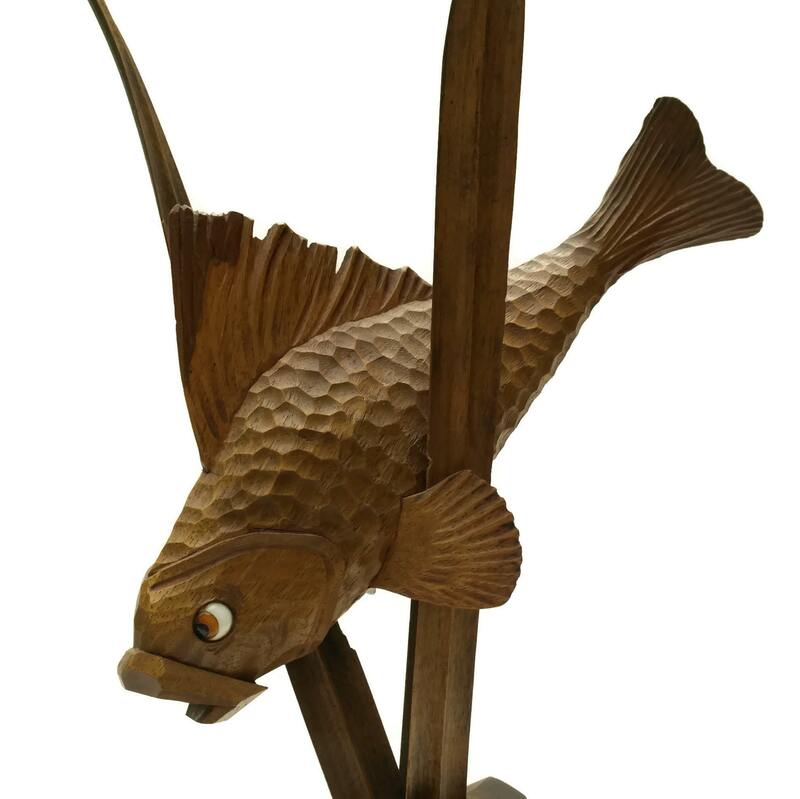 A delightful Art Deco fish sculpture from the 1930s. 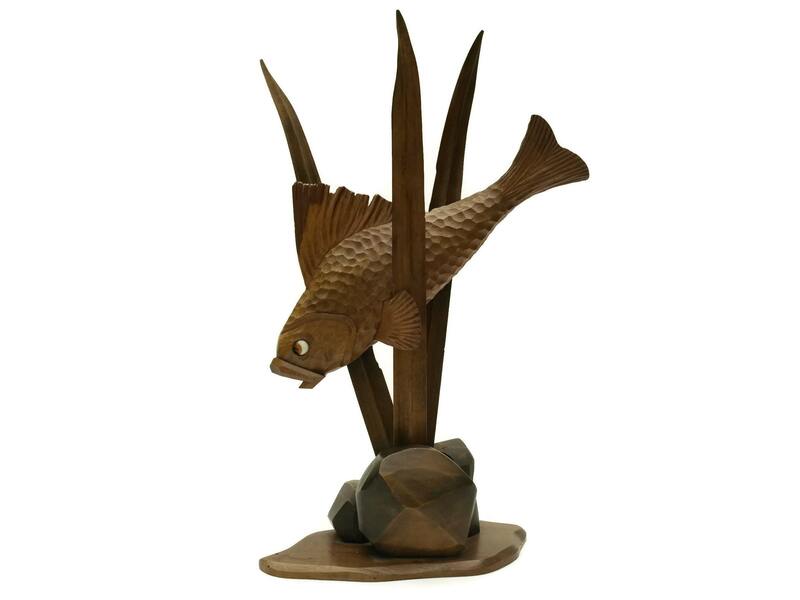 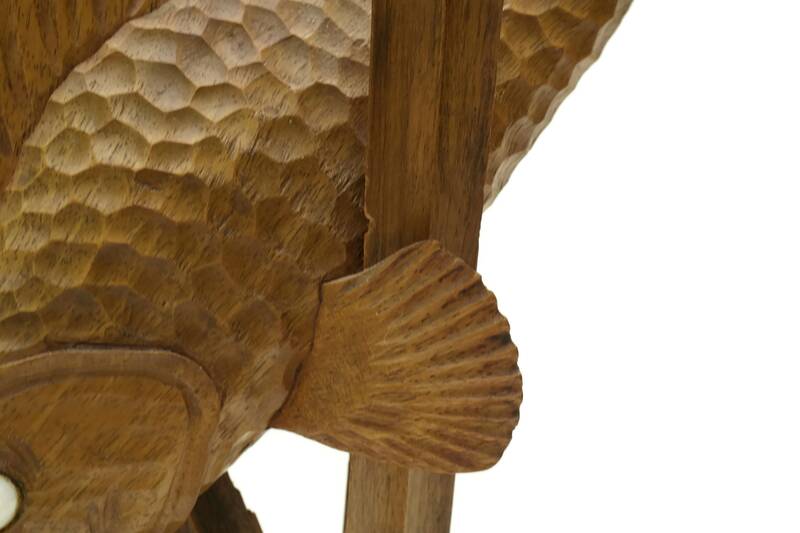 The French figurine has been hand carved from wood and portrays a fish swimming amongst reeds. 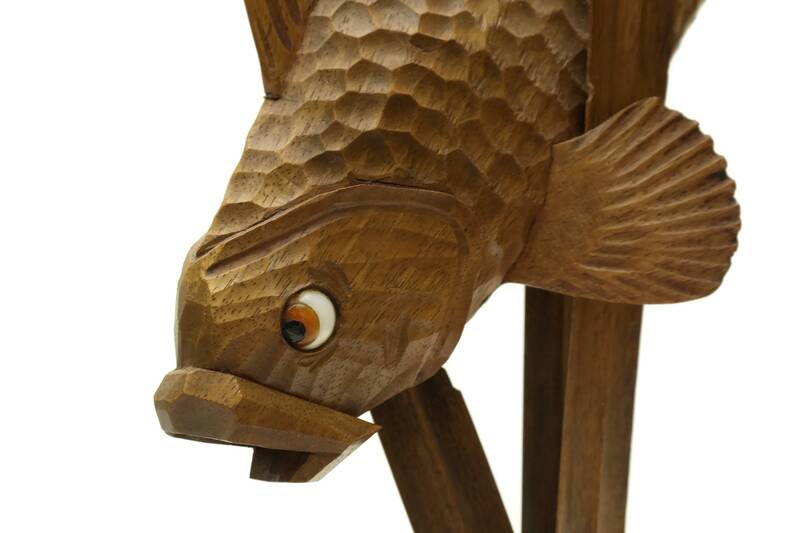 The fish features glass eyes and has been expertly carved with realistic scales and fins. 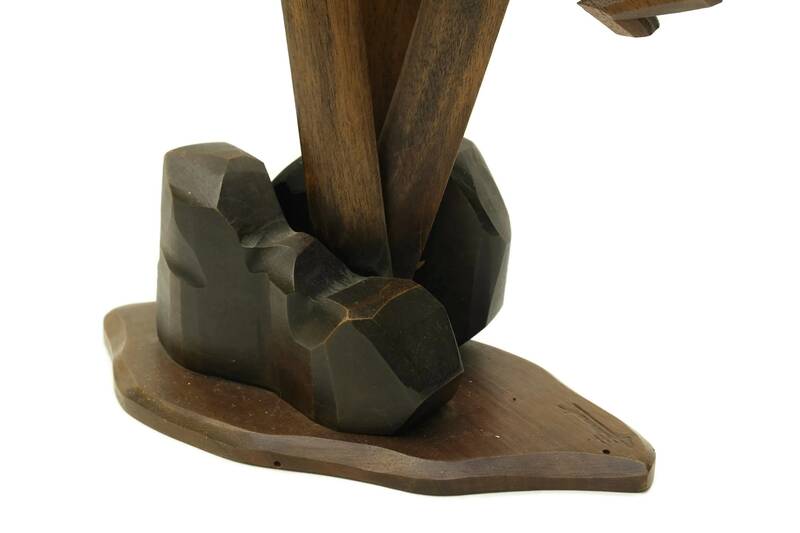 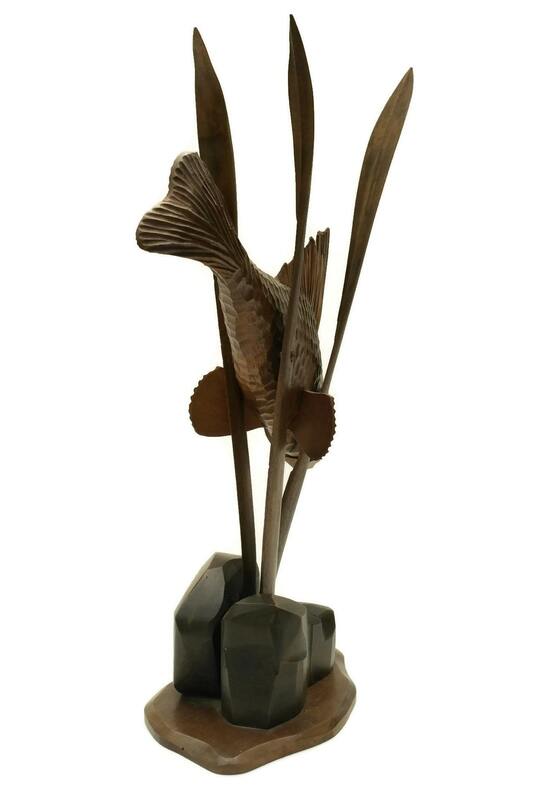 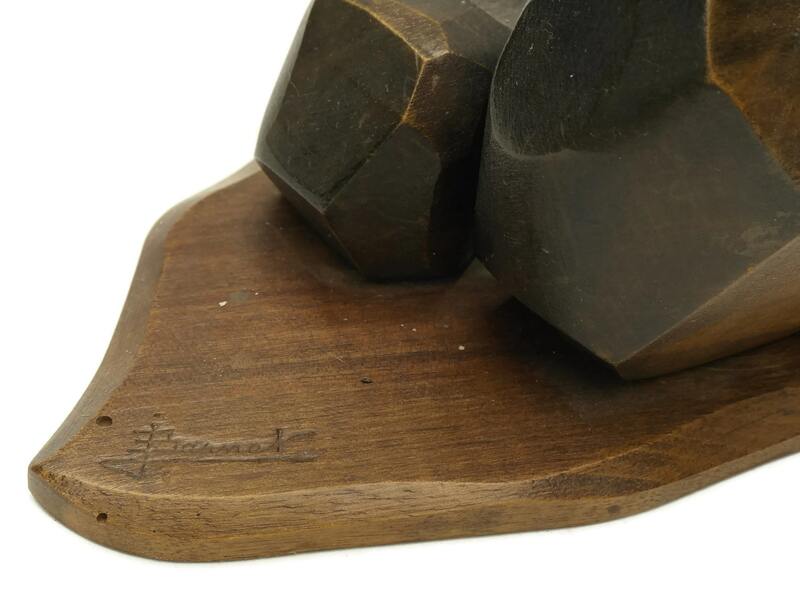 The elegant reeds are attached to a wooden base that has been signed by the artist Barnet.